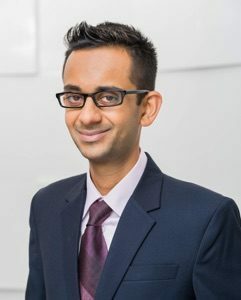 Dr. Krishna Savani is the Provost’s Chair in Business, Associate Professor of Strategy, Management, and Organization, Associate Professor of Psychology (by Courtesy), and Co-Director of the Culture Science Institute, at Nanyang Technological University. He uses cross-cultural comparisons to reveal basic psychological processes that would otherwise go undetected. He has conducted extensive work on how merely thinking about one’s day to day choices and decisions influences people’s judgments about important issues (e.g., wealth inequality); how believing whether nearly everyone vs. only some people have intellectual or moral potential influences people’s attitudes and behaviors (e.g., how likely they are to cheat); and whether adjusting to a new culture is more a matter of implicitly picking up complex patterns rather than carefully learning new rules and customs. Dr. Savani’s research has been published in numerous academic journals, including Journal of Personality and Social Psychology, Psychological Science, Journal of Applied Psychology, Organizational Behavior and Human Decision Processes, Perspectives on Psychological Science, and the Journal of Experimental Social Psychology. His research has been featured in numerous media outlets, including Forbes, Smart Money, Scientific American, Boston Globe, and Huffington Post. Dr. Savani teaches Managerial Decision Making in the MBA program at Nanyang Business School. Dr. Savani has been recognized as a 2015 Rising Star by the Association for Psychological Science, and received the 2016 Nanyang Assistant Professorship award in Nanyang Business School. He has also been featured in the Poets and Quants Best 40 Under 40 Professors, and Singapore Business Review’s 2016 list of 18 influential business professors aged 40 and under. Dr. Savani is currently an Associate Editor at the Journal of Personality and Social Psychology, Attitudes and Social Cognition section. This entry was posted in About on by krishnasavaniadmin.